Earn $0.99 in Rewards credit. Click to learn more. Use NiteRider's Rack Mount to attach any of their tail lights to a compatible rear rack. The holes on this mount line up perfectly with the holes on my Axiom rear rack, so installing was a breeze, and it holds the Niterider rear light very securely. I just wish that Niterider would include this mount with their rear lights instead of requiring a separate purchase, what good is a light if you can't mount it? This is a great little piece of plastic, necessary to mount my light to my rack. 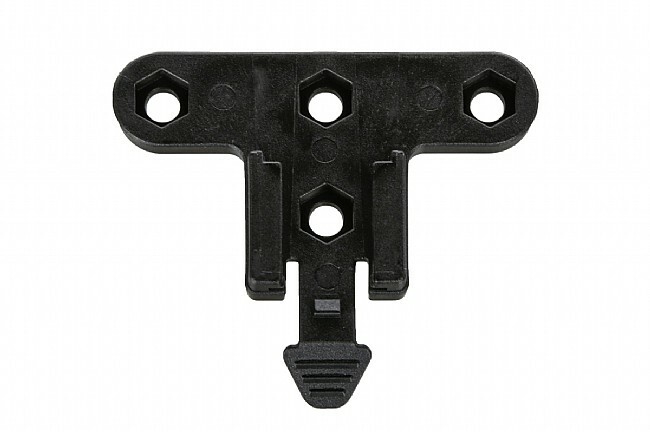 This is a connector that perfectly matches the mounting holes on a Tubus rear rack and a Niterider tailight. It was surprisingly hard to find. I'm glad Western Bikeworks had it. Fit on my rack perfectly. Would be nice if the provided bolts were hex, but I was able to make it work. The fit for the light is nice and tight. Easy to remove for charging. This device makes mounting a niterider taillight on the rear rack a breeze. Most taillights are designed to attach to the seatpost, this makes it possible to quickly mount to the rear rack.